I’ve been a Jaaxy member for about two months now, coming to it through the great reviews I found via the community at Wealthy Affiliate, and I figured it’s time for me to give a complete Jaaxy Enterprise Review. If you’re unfamiliar with what Jaaxy is: it’s a simple but effective research tool you can use when trying to find keywords for your site. The tool provides many of the expected functions of a keyword search tool, including related keyword suggestions, monthly searches, monthly traffic estimates, and an SEO ranking. Jaaxy also goes beyond the standard suite of functionality to evaluate whether there is any rich media associated with the keyword (eg: a video ranking, or social rankings) as well provide domain availability if you’re building a new site from scratch. Overall, I think Jaaxy is an excellent tool. I’ve used a bunch of keyword tools in the past and always found myself going back to the same old “direct from google” approach for my keyword research. 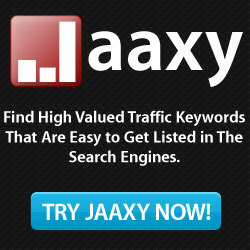 Jaaxy is a great keyword tool that, over the last few months, I’ve really come to enjoy using. 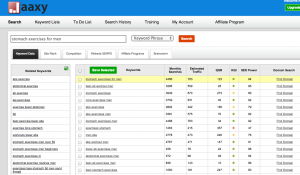 It saves me countless hours searching for keywords, and places all the data you need (monthly searches, expected traffic, competition, related keywords, etc) into a nicely formatted page. The best feature of Jaaxy to me is how it pulls in the competition and traffic data into one line. 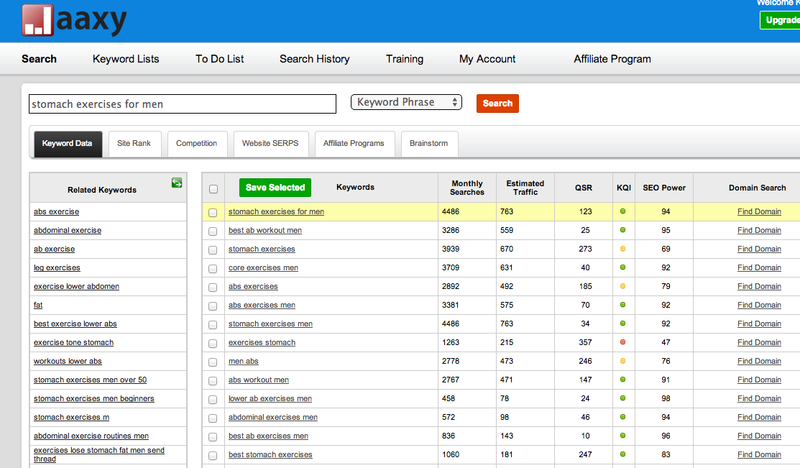 That’s a huge plus, and makes it easy to compare various keyword easily. This is something that I routinely have to compile, since I use a search:competition metric as my basis for evaluating keywords. While Jaaxy doesn’t provide this number directly, they do provide an SEO ranking metric with a green-yellow-red light system, so I can glance at a page of results and quickly narrow my focus to the better keywords. I also like the suggested keyword approach, which (in my experience) usually gives 50% relevant and 50% not-so-relevant results, which is an excellent result. Compared to other software I’ve used, more of the suggested keywords Jaaxy provides are actually relevant to what I’m writing on. I’m not sure any ‘suggested keywords’ are going to be 100% spot on, so the quickly sortable list that jaaxy provides is pretty good. The other major benefit in my mind is the competition page, which shows whether the keyword is being ranked for other web channels, eg: if there are videos indexed under youtube or vimeo. This is a cut above the rest of the tools I’ve used in the past and, especially if you incorporate media-content into your site (which you should be doing), provides a great level of detail. Finally, Jaaxy Enterprise also provides a great series of training videos that not only introduce you to the software, but walk you through the process of how to select good keywords. This is an added bonus, since you get some free affiliate training along with your subscription. As much as I’m impressed with the ease of use and accessibility of information, nothing’s perfect. After a few months with the software I’m still unclear how it comes up with the “seo ranking” figure, and I would favor a much simpler metric. For example, I always consider the competition to results ration when trying to find good keywords, and currently I still have to calculate that manually based on Jaaxy’s results. So, a huge improvement over their SEO ranking button would be a column that shows the searches:QSR ratio. It accomplishes a similar comparison while being up front about what that comparison is. Then again, maybe that’s just my personal bias. The second issue I have is that I think the software glosses over the fact that Google often ignores “minor” words in keyword rankings, like prepositions or articles. The result is that some keywords may appear to be either “too attractive” with little competition, or “infrequently searched” when really the results are all but combined to Google. I hope this Jaaxy Enterprise Review helps you get a glimpse into some of the day to day benefits I see using their system. At the end of the day, the minor complaints I have about the software have more to do with the layout and some personal preferences than any major fault in the system. Jaaxy is an excellent tool that streamlines most of my keyword process into a short, easy-to-use system.